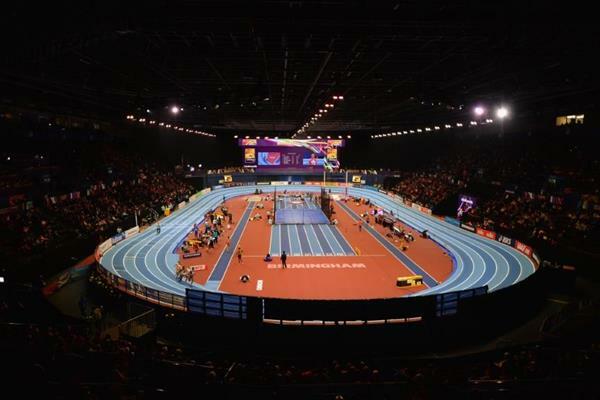 Ten days after the end of the World Indoor Championships '18 in Birmingham, data provided by IAAF partners has given us the opportunty to do a better analyse about some middle distance races. 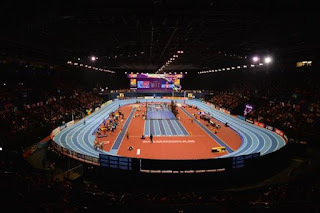 Seiko has provided the splits at every 100m for every athletes who run the race and we have decided to focalised out attention to the 1500m and 3000m women final where we saw G.Dibaba for an another edition the queen of indoor races. 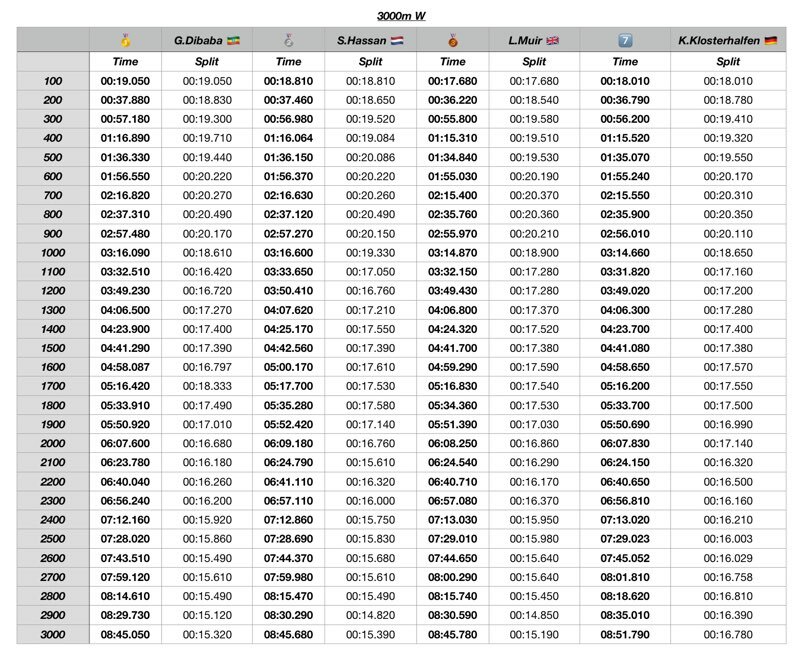 As we can see from the table and the graphic, after the first 500m the athletes started to run at good pace for 200m and then a pretty long sprint made by G.Dibaba who showed an amazing shape running the last 800m in 1:59.82, after the 1500's Heats and the 3000m final two days before. 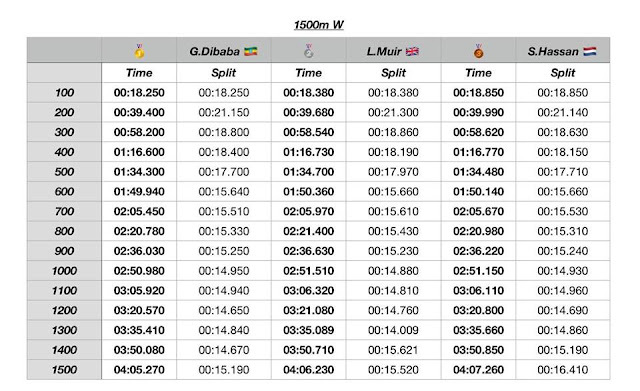 The main diffence for making the gold medal real was did in the last lap where the ethiopian has been able to mainteine that fast pace until the finish line, with Muir and Hassan suffered for the effort but able to run the last 800m in 2:00.26 and 2:01.59. 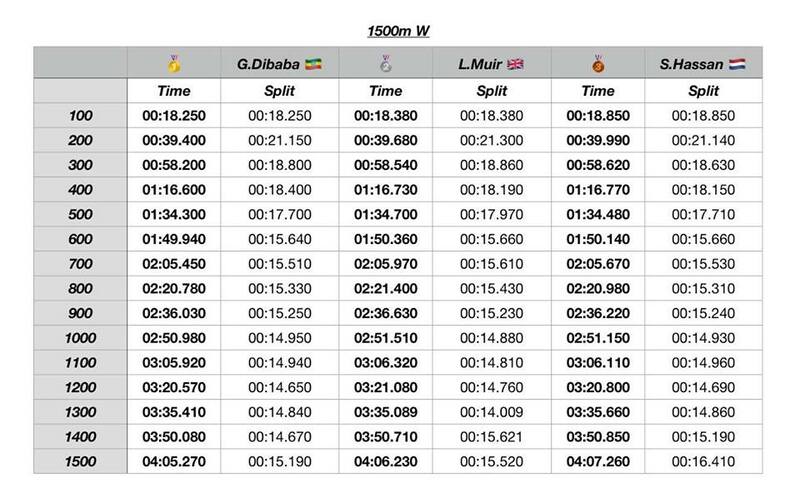 Day1 in Birmingham and the 3000m women final started with a huge slow pace for the first half of the race (4:41), then Dibaba started to increase the pace every lap in the last seven laps (35.04, 33.69, 32.44, 32.12, 31.35, 31.10 and 30.44) for an amazing last km run in 2:37 ! The second half was covered in 4:03.76 by Dibaba, 4:03.12 by Hassan and Muir who run the fastest last lap in 30.04 ! Far from this medal group, 7th place for the young talent Kostanze Klosterhalfen who was U23 silver medal in Samorin at the European XC Championships in december who has benn able to run the last km in 2:43.56 even if she has made the XC preparation and maybe not ready in that moment for that kind of speed but for sure a great race by her, after the bad experience in London last summer; a great step to the elite level also in Championships races for the young german talent.